What if the St. Louis Cardinals are Sellers? Doesn’t that title just turn your stomach? There are fans in St. Louis who have gone their entire lives without seeing this organization bite the bullet and enter the trade market with wares to sell instead of a last-minute shopping list. But if this losing trend continues, it’s going to dovetail bitterly with the start of the MLB non-waiver trade deadline flash sale. And that makes general manager John Mozeliak the sales manager of an outlet mall full of pieces he can use to restock the farm system. It does help that such an eventuality could occur the same season the Cardinals have lost their top draft pick slots over the hacking scandal. Lose some picks, grab some prospects. Ultimately, a lost 2017 campaign carries the potential to clear out the cobwebs and reboot the franchise. You could even argue a season like this was coming after miss after miss in the free agent market and a long run at the top of the standings. Some fans could feel the pressure building towards maximum mediocrity, that point where the Cardinals finally stuffed their roster to bursting with so many so-so players that the whole thing toppled over and fell off the podium. This could be good for St. Louis. In Cardinal Nation, we’re not used to losing, and we’re certainly not used to selling players at the deadline. Just ask the Joe Kelly and Allen Craig fans if their scars have fully healed, yet. So, as we progress through June and ominously toward July, here’s a list of players Mozeliak should stock the shelves with if and when he opens his office doors for business. Lance Lynn. After missing a year to Tommy John Surgery (TJS), many wondered if Lynn would suffer through the typical but ill-timed down year in 2017 – ill-timed because Lynn is eligible for free agency after this season. But it seems the opposite is true. Maybe because he pushed to pitch just a bit in rehab appearances near the end of 2016, or maybe just because Lance is such a bulldog that he refuses to succumb to “normal,” but whatever the reason, Lynn is having a stellar year. He represents one of the better starting pitching options on the market for contenders looking to rent. That works because there’s a good chance Lynn is committed to testing his value in the market anyway, and the Cardinals are not accustomed to winning bidding wars. It’s just too bad the most obvious buyers are the division rival Cubs, the one team Mozeliak would likely never call. Jedd Gyorko. Many fans reading this right now – all three of you – are slamming their mouse and banging their tablets on the coffee table. “No! He’s our best hitter! Who’s going to play third base? !” And those are legitimate concerns – for 2017. But assuming St. Louis is far enough out of things to bail on this season, then the conversation turns to 2018 and beyond. The reality is, the Cardinals’ front office targeted third base as a likely opportunity for a transformative acquisition long ago. Gyorko may have been up for playing time, but he was rarely considered a potential core player. And that makes him expendable. 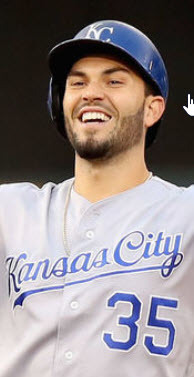 How much do you think a GM would pay for an infielder who can literally play every infield position, currently possesses a cleanup-quality bat, and is under control with reasonable salary obligations for the next 2-and-a-half years? And that doesn’t even include the team option at the end of it. Jedd Gyorko is the ideal trade bait, and now, while he’s surpassing all expectations, is the best time to move him. There’s a good chance his numbers won’t look this good in the second half. Tommy Pham. 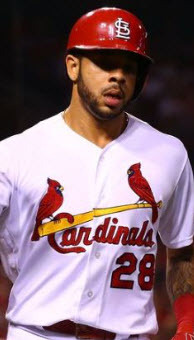 With Tommy Pham’s infamous streakiness and noted vision struggles – not to mention his injury history – it seems a bad idea to count on him as a reliable outfielder after this season. 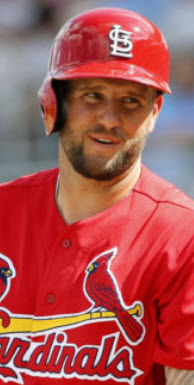 His up-and-down career in the Cardinals’ organization has reached a do-or-don’t point (Mozeliak’s own words), and that means he’s most valuable as a trade chip for a Mozeliak-led front office looking to restock the minor league coffers. 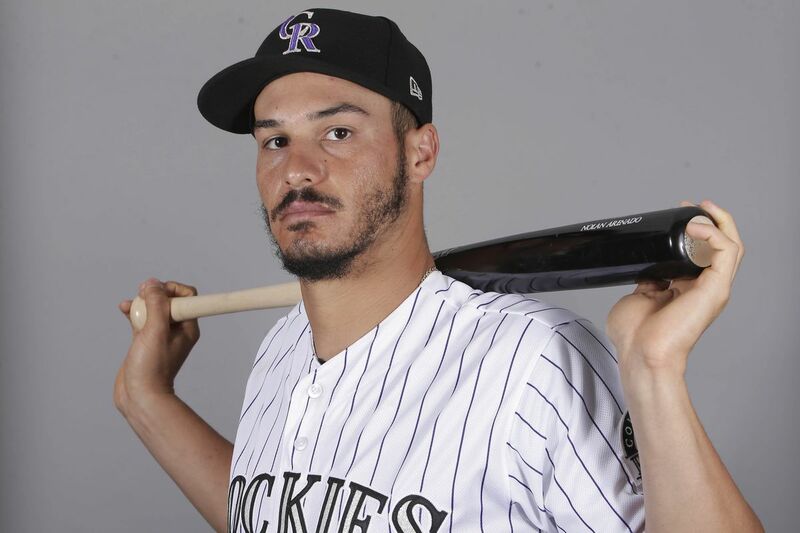 His speed, ability to play centerfield, and extra base power make him an enticing piece for a team looking for “another outfielder” for a stretch run at the right price. Besides, if there’s one thing the Cardinals have shown they can develop, it’s outfielders. That makes Pham replaceable. Mike Leake. Look, this trade business is hard stuff. I know Mike Leake has become the one pitcher that helps Cards fans sleep at night, but that success is exactly why Mozeliak and Company must capitalize on his value if the Cardinals are out of it. Leake is having a career year. 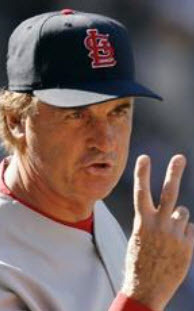 In seven seasons of major-league baseball, he’s never even sniffed an ERA under 3.37 or a WHIP lower than 1.161. This year, through 11 starts, he’s compiled a 2.64 ERA and an 0.947 WHIP. And he’s under control at third starter money for the next three seasons (2018-2020) with a mutual option for 2021. All of that makes him perhaps the most palatable starter option on the market for a contender looking to eat innings in August and September and pitch with experience in October. Teams will pay for that reliability and cost control. They’ll pay a lot. If Mo is selling, Leake – especially the first half of 2017 version – must be on the bidding block. Besides, with all of the pitching options coming up – Luke Weaver, Marco Gonzalez, Jack Flaherty, Sandy Alacantara, etc. – plus the return of Alex Reyes next year, the Cardinals have the ability to replace a starting pitcher they tabbed as their third or fourth starter. As long as Leake pitches like a one or two, he’s more valuable as a trade chip than the innings-eater St. Louis expected him to be for a few years. Seung Hwan Oh. It’s pretty clear the Cardinals want – expect – Trevor Rosenthal to be the closer of the future. They’ve carefully deployed him all year long, and his recent rocky history could easily make him the less expensive choice, if they’re comparing him to Oh. 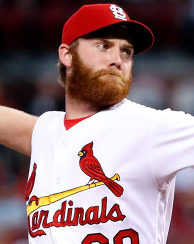 On the other hand, Oh is going to command quite a bit of money in the free agent market this offseason, money the Cardinals have traditionally been wary of spending on back-end relief options. Other contending teams, however, love to trade for closers. He’s not flashy, and he doesn’t sport a 96-100 mph fastball, but The Final Boss gets the job done in the ninth, and teams will value that at the deadline. Besides, with all his usage over the years, I still expect Oh to either be injured or near-injured at the end of the 2017 season. 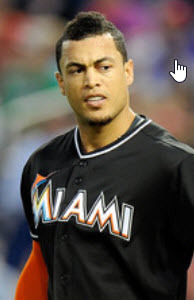 Better to sell now and get something than let him walk in free agency or finish the year on the disabled list. There are those options, as noted above, that are too good NOT to move in July, and then there are those options that are right on the line. Do you hold onto them and work them into your plans for the future? Or do you sell now while you have a rare opportunity to remake your roster for the long haul? Those borderline players become options Mozeliak must consider if offered the right price but is under no pressure to move. 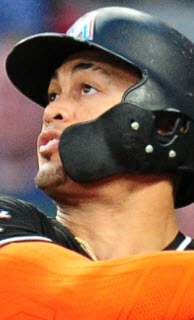 On the Cardinals roster, the first name that comes to mind is Kolten Wong. With the emergence of Paul DeJong – and the existence of other second base options – Wong’s solid start to the year may finally give Mozeliak the leverage he’s needed to sell at the right price. In the past, teams have inquired on Wong expecting to steal a first round draft pick by buying low, but Mo has steadfastly refused. Now, with Wong’s productive numbers and steady play, it may be the right time to expect a higher return on a cost-controlled player with stellar defensive ability. On the other hand, the team signed him to a five-year deal for a reason. They want him to be the second baseman of the future, and they believe he can be an All-Star. Mo would be perfectly happy retaining the young infielder for years to come, especially now that he’s finally settling in. Then there’s Trevor Rosenthal. Despite what we said above, every reliever is for sale at the right price. And it seems like nothing sells faster – and often for higher value – than a high-velocity closer. If a team is willing to go over the top in their willingness to land Rosie, Mo should pull the trigger and gladly take the prospects. Of course, no trade discussions would be complete without mentioning Michael Wacha. His shoulder issues appear to be at least well-managed this season, and his talent reasserted itself early on. If the right team offers the Cardinals the right price for a pitcher with an uncertain future, expect Mozeliak to pull the trigger. On the other hand, it’s going to be hard to fetch the price Mo wants if teams are concerned about Wacha’s recurring injury and his recent bad outings (especially if those continue). He’ll be available, but he may be too hard to move and more valuable remaining in St. Louis. And finally, there’s the awkward Aledmys Diaz discussion. It’s always hard to move an All-Star so young, if for no other reason than the fact that it’s so hard to value a player with so many years of control left who has already played in his first All-Star Game. But if the right trade partner pops up, Mo should listen. With Delvin Perez in the system and with Diaz’s limited range at short, it’s unlikely Aledmys will stick at shortstop for years to come. And if he can’t make the adjustment I wrote about earlier, then even his offensive sustainability has questions. Still, Diaz is a special talent, and it’s rare that a hitter like him can’t get over the adjustment obstacle and on to better things. Even if he is moved off shortstop in the future, there’s enough fluidity with second and third base to easily work him into any future plans Mo has for the infield. COMING SOON! Watch out for the next episode of Mike ‘N Mo! Great article, Lynn, Gyorko and Oh could bring in a few hitting prospects that they desperately need.